'Yukionna, the Snow Witch' is a well-known story by most who are acquainted with Japanese culture, but this Sunday, at Hamline University's Sundin Hall, it will have its first retelling as an opera. 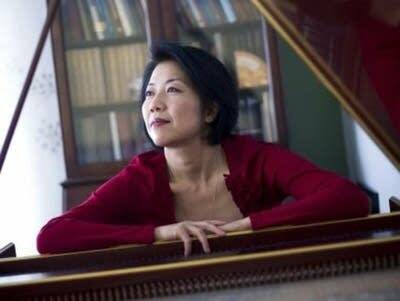 Composed by Japanese (and Minnesota-based) harpsichordist and composer Asako Hirabayashi, the music is moving, mysterious and filled with the exotic sounds of percussion. The songs are in Japanese, but the accompanied dialogue, (by Theatre de la Jeune Leune Steven Epp) is in English, further accentuating the East-meets-West feel. The story is an exciting one: Yukionna, the Snow Witch has one reason to live: to kill. She has been sent by the Gods from her wintry kingdom down to villages of unsuspecting folk who are taken to a cold and endless sleep of death. One night on her destructive errand, she catches sight of her next victim. After killing his father, she is so taken with this young man's physical beauty, she simply can't kill him. She disguises herself as a woman and lures him into marriage and fatherhood instead of death. But as the man begins to connect the dots about Yukionna's true self, she tells him he must die  or perhaps she will.